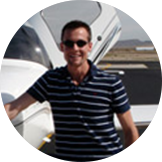 "Coast Flight Training provided a structured program to get me from no experience to airline ready. However, being able to use my Post 9-11 GI Bill® is what really drew me to Coast. 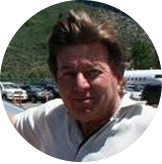 The cherry on top was the conditional offer of employment by SkyWest Airlines prior to the start of my training." 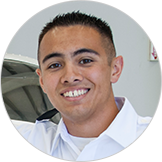 "I chose Coast Flight Training for the ACT Program. Being able to utilize my Post-9/11 GI Bill® for this program is an amazing opportunity to help me achieve my lifelong dream of becoming a pilot. Coast is an outstanding school with a great group of individuals, all of whom are supportive and imperative to my success. 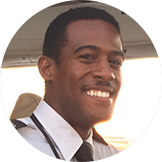 The unique opportunity to have a job with SkyWest Airlines at the end of this training is perfect for me." 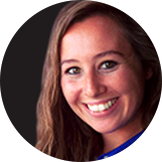 "I chose Coast Flight because I’ve dreamt of flight ever since I can remember. When this opportunity presented itself to me, I knew that this was the pathway that I was going to continue on for the rest of my life. The fact that this training opportunity is paired with a career as an airline pilot makes it a dream come true." 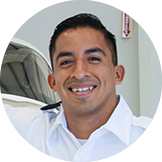 "I cannot imagine having studied for my pilot’s license anywhere but Coast. The experience has been life-changing, and the memories of this exhilarating process will be with me forever. It has challenged me, increased my confidence, and opened up new realms. Going to Coast, I feel like a valuable member of a team. I have made life-long friends and found a vocation which brings me tremendous enjoyment." "I was able to teach at Coast Flight and make money, all while I finished my college degree online. I have now been accepted into the SkyWest Airlines Bridge Program and will shortly be an airline pilot, all thanks to the support of Coast." "Aircraft ownership could not have been made easier without the guidance of Coast's Pre-Purchase services! I purchased my SR22 Turbo through Coast and have had it under Coast management since 2008. I can rely on a valet service that an owner would expect. Coast treats the airplane as though it was their personal aircraft and maintains the highest standards!" 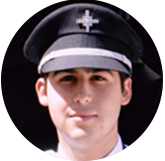 "When I decided to attend Coast Flight Training, I thought that I was going to find a school, but I ended up finding the best flying school with the best instructors and the best planes. They have been extremely efficient since the beginning, helping me throughout the application process and all the paperwork that I needed as an international student. They soon became a great group of friends that have made my training period one of the best times of my life." "Oddly enough, in a world craving change, advancement, and cutting edge approaches, the aviation education community fails to deliver. Uniquely, that is where Coast Flight excels. Having seen it developed from the ground up, I can assure you that every decision has been made with the intent to improve the training quality and experience. For those individuals seeking a flight training school, I would suggest serious consideration of Coast Flight Training. In a world of conformity, Coast Flight Training is different. While the rest of the AVIATION TRAINING community zigs, they zag, and it makes all the difference."